I don’t want to dwell too much on the company that let me down but I’d rather spend my time ‘Bigging Up’ the company that came to my rescue. However, to better understand the situation you will need a bit of background. On a Friday night, I run a small Twitter quiz. A company offered me 3 prizes for the winners. The competition went well with a lot of exposure to the brand. I contacted the company to inform them of the winners but then it went deadly quiet for a few weeks. I emailed numerous times, tweeted and even tried to phone but there was no phone number on the website. I had a very bad feeling about it all. The winners, were incredibly understanding and said ‘Chrissie, don’t worry about it, it’s fine’. But sorry, in my book, if I promise you something, I will deliver even if I have to pay for it myself. In the end, a light bulb went off and I thought. Why don’t a contact someone who offers a similar service and see if they would be willing to help me out of a pickle. So, I contacted a company that I’ve worked with on a couple of occasions (see picture), explained my plight and was fully expecting them to politely decline as it was in no way their problem. But when I opened up my email first thing in the morning, I was pleasantly surprised; there was a response from Mark from Hello Canvas offering to help out. Within 30 minutes the winners each had gift certificates for a photo on canvas with the size 16 x 24 inch/40 x 60 cm. As another blogger said ‘this speaks volumes for the company’s ethos’ and I can’t agree more. I just wanted to say a huge THANK YOU to Mark and the team at Hello Canvas for bailing me out of a tight spot and if you think they’re as fab as I do please feel free to tweet them @hellocanvas telling them how wonderful they are. As for the other company, after a very harsh email from myself and a bit of pressure from a few of my twitter friends I did get a response and they did in the end uphold their end of the bargain. Apparently, they had an intern, who was responsible for this but has now been fired. They were very embarrassed by the whole situation, but in the end I still feel it’s the company’s responsibility. Sadly, I will not be able to recommend them in future. 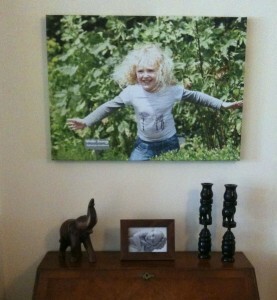 I’ve worked with Hello Canvas too and loved them! The only downside was that their canvas was soooooo much better than one we bought a year or so earlier, I had to buy an extra one (two children, means too canvases!). I reckon they make fab christmas pressies. We’ve been impressed with ours as well! Plus, a great company. 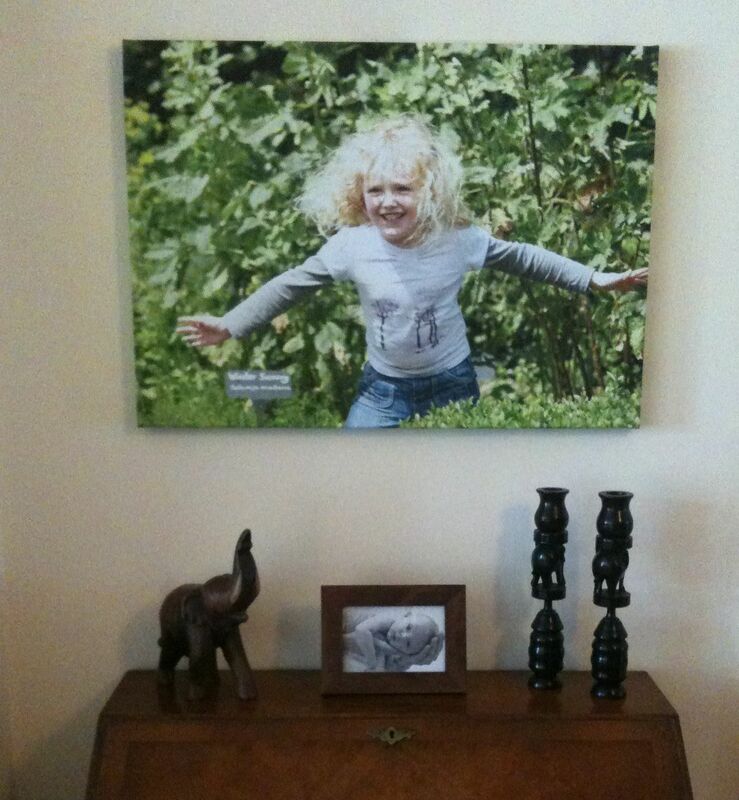 I too have worked with Hello Canvas and they were so brilliant that I’ll order a couple of canvases for Christmas as my family in Germany don’t see Amy that often. I’m glad that Hello Canvas jumped in to help you out when the other company let you down. Fair play for not naming and shaming them, I would be really disappointed and angry, if they made me look that bad. I was a tad peed off! If I’m honest I did name and shame them on twitter and on the previous competition post, but that’s all history now. Good for them; it was pretty decent of them to step in. I’ll be buying off Hello Canvas again in the future because the canvasses I’ve had from them previously have all been fabulous.